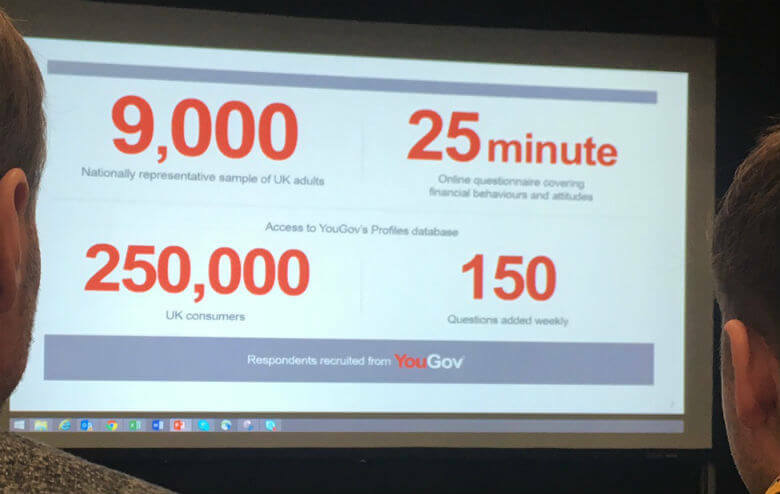 HSBC and YouGov presented at Marketing Week Live (#MWL17) today, on a new approach to customer segmentation that looks at attitudes rather than age or stage. Claire Verdirame, Head of Consumer Insight and Marketing Performance at HSBC, First Direct and M&S Bank, first explained the market context for her banking brands, something we are quite familiar with: huge societal change, traditional banking being challenged and ripe for disruption, and, largely thanks to other industries, customer expectations rising. Indeed, she expects customer expectations to rise faster in the next five years than in the previous 50. Claire then did some quick polling of the audience, around the data they had on MILLENNIALS. Basically, it turns out that millennials are fairly equally divided when it comes to their trust for banks (44% do), their likelihood to plan ahead (48% don’t like it) and enjoyment of risk (50% vs 40% in favour of a bit of risk-taking). Moreover, these results look extremely similar to the Generation X and Baby Boomer cohort. Age ain’t nothing but a number, and doesn’t a segment make, as I’ve argued before. 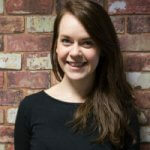 While age-based cohorts may be common (and while ‘life stage’ is apparently loved by senior stakeholders as a segmentation approach), Claire says her Insights team were keen to look at the WHY behind the WHAT. 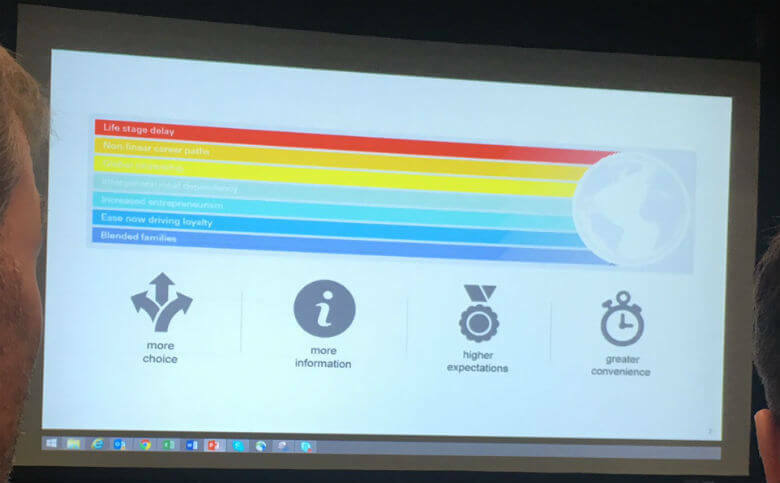 They partnered with YouGov, chosen for speed and for ‘longevity’ (as they are able to continually survey), and uncovered two interesting things from the sample shown above. 1. People can be quite easily divided into planners and non-planners, and risk-takers and risk averse. 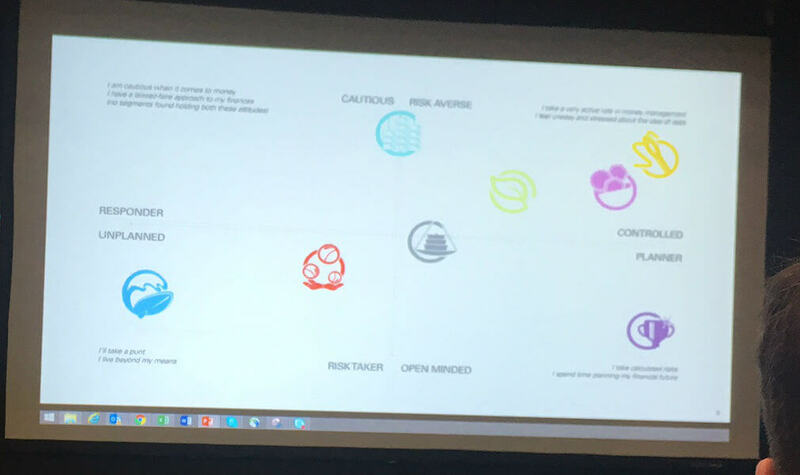 Here is the quadrant. Interestingly, each of the 8 ‘types’ contained a broad range of ages; it wasn’t a unifying factor at all. Armed with these findings, and some cool videos, the insight team took these findings to the business to highlight both commercial opportunities and shortcomings. Claire claims there have been big changes in behaviour and decision-making in the business, provoking action and being a ‘wake-up call’. Products and propositions have been reviewed. And teams are attempting to test and learn from their ideas quickly. Within the marketing teams, planning, creative execution and media buying have been shaken up, with the eight new segments forming the basis of every decisions. They’ve seen an improvement in ROMI as a result. 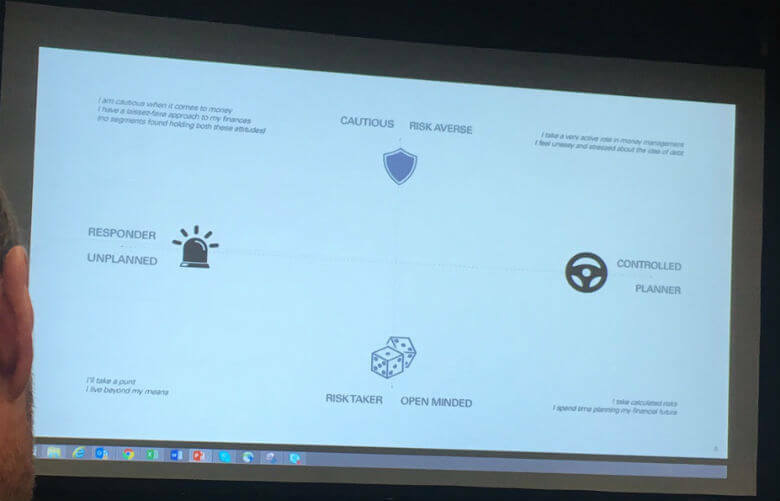 One example Claire showed was a simple digital mortgage campaign, which they tweaked for each segment and were able to target each segment with. 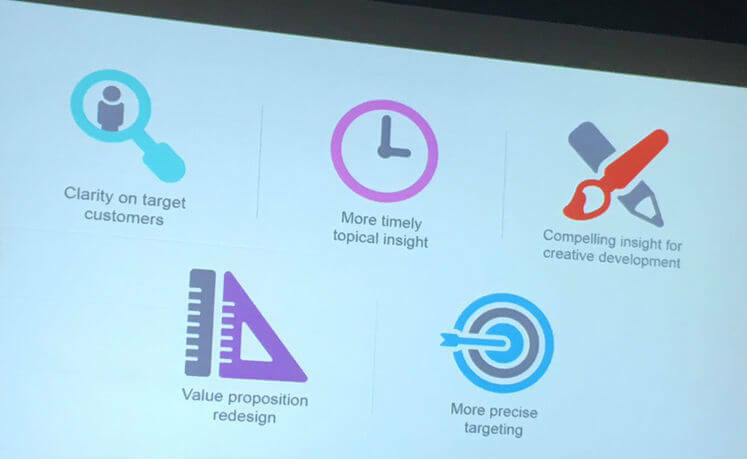 She also showed a video of people from HSBC’s marketing agencies (JWT and Mindshare) confirming that the new approach to segmentation has had a huge impact on marketing strategy and effectiveness. 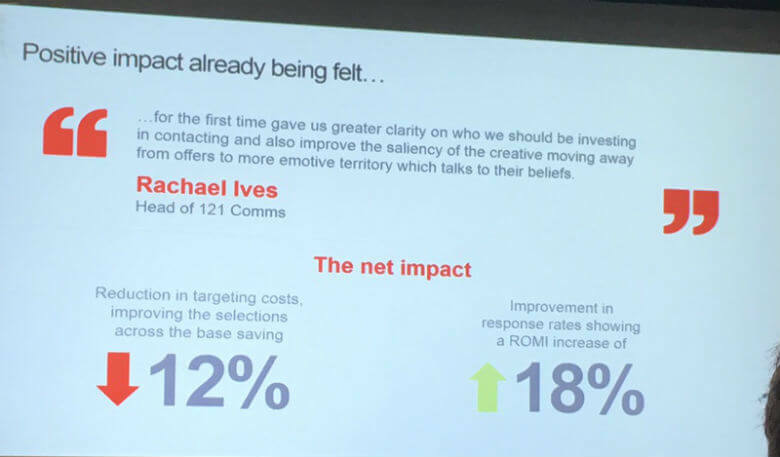 For HSBC (and First Direct and M&S Bank), a better understanding of their customers is helping them not only reach those customers but design products that suit their needs.